Overcrowding in California emergency rooms disproportionately affects minority populations, according to a study published Monday in the journal Health Affairs. The findings shed light on flaws in the emergency care system that affect vulnerable populations, including communities of color, lead author Dr. Renee Hsia says. 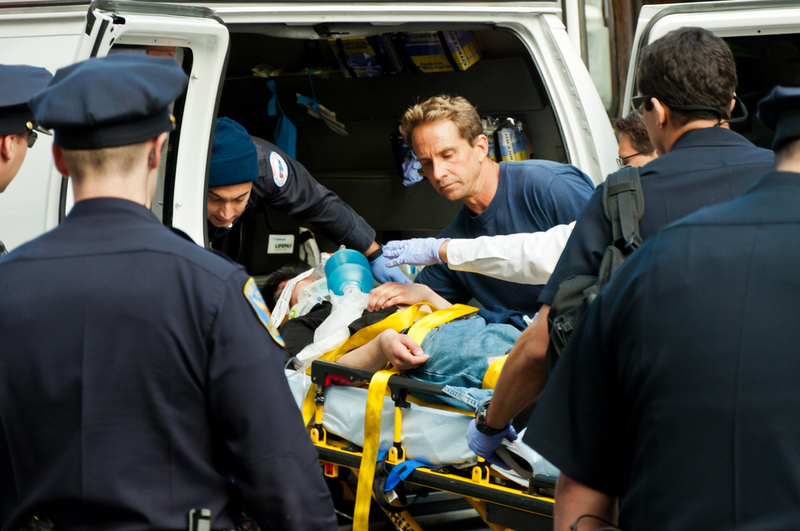 Researchers used ambulance diversion rates to study overcrowding in 202 California hospitals. In ambulance diversion overtaxed hospitals alert ambulances to take patients to other emergency rooms in the surrounding area. In short, Hsia's team found that hospitals which served more minority patients were more likely to divert. This despite controlling for factors such as hospital ownership (nonprofit versus for-profit versus county-run) and the types of patients served. Hsia, who works as an emergency physician at San Francisco General Hospital, says this finding suggests that those hospitals are suffering a greater strain on their resources and a higher demand for emergency care. But this isn’t an example of deep-seated discrimination, she explained. Hospitals receive lower reimbursement rates when their patients are uninsured or insured through Medi-Cal, the federal-state partnership that provides health insurance for the poor. By contrast, most ER patients in affluent areas have private insurance. Hsia says that these disparities can make emergency services in low-income areas no longer profitable for hospitals. “Over the past 20 years, the number of emergency departments has decreased 27 percent. At the same time, the demand for emergency care has increased by 40 percent, rapidly outpacing population growth,” Hsia said, citing her earlier research. She said emergency rooms are closing disproportionately in areas that serve vulnerable populations -- the same vulnerable populations that are seeing a higher demand for emergency care. That’s likely why ambulance diversion rates are higher in those communities. But the surrounding population is not an explanation in every case. “Some hospitals just have fewer resources than others, and they may have more demand on their services,” Hsia said. Hsia says that instances of ambulance diversion can have very real effects on patient survival rates.